A young Sinan Bytyqi was forced to retire from football with heart problems. 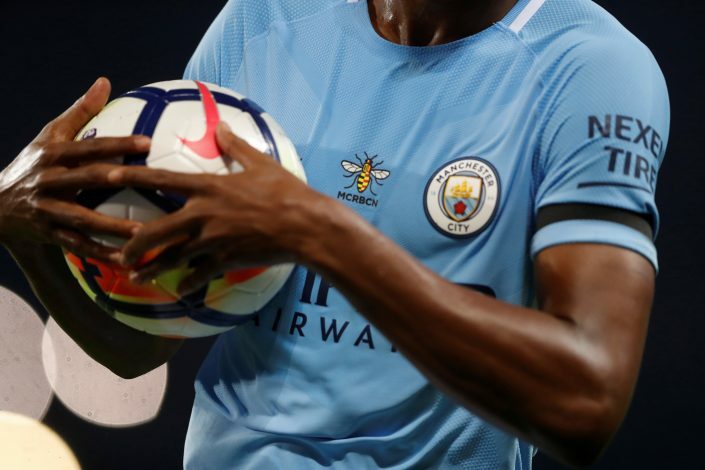 According to reports from Daily Mail, the talented Manchester City player had been diagnosed with hypertrophic cardiomyopathy, a disease which makes the heart grow bigger. The 22-year-old was on loan at Go Ahead Eagles of Netherlands, and has constantly impressed everyone with his terrific form, which also helped him feature in every team of the week. His performances were closely kept under the eye of City manager Pep Guardiola. After his spell in Holland came to an end this year, he was supposed to return to England with thoughts of making it to City’s first team. But one morning, he was called into the Dutch club’s office before his training, where the manager pulled off a piece of paper, and with hesitation, briefed him that they had found something on his annual heart monitoring test in Manchester, and for that reason, he had to go back to England. The coach also told the midfielder that he was found with a persistent disease which would stop him from playing professional football anymore. The condition of Bytyqi denoted that there was a chance of 4 per cent that his heart would stop beating in case he continues to play the game, which ultimately led to his decision to hang up his boots at a mere age of 22. However, City have decided to specify another role for young Bytyqi. He has been allotted the role of loan scout, where he needs to watch the performances of City’s young stars out on loan before compiling reports and recommendations based on that.